walnuts? almonds? gummy bears?? 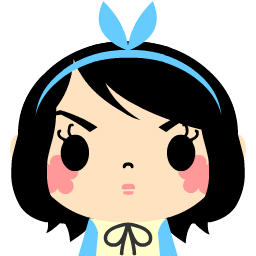 whatever extra stuff you like! 7. Shape into vaguely ball shaped objects, and place on baking sheet well spaced. 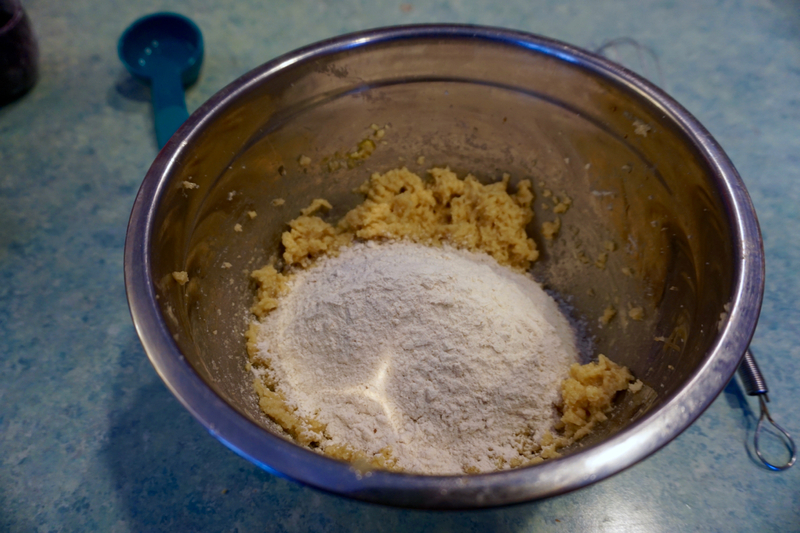 Depending on the condition of the butter, the resulting dough may be either too crumbly or too watery. 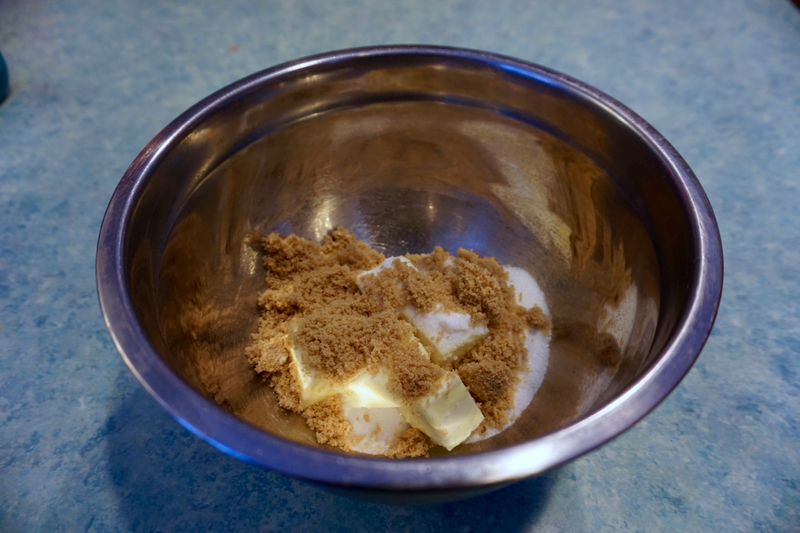 If too crumbly, use 1/2 tsp of milk to get the dough to form. If too watery, refrigerate the dough for 30 minutes or so until firm. 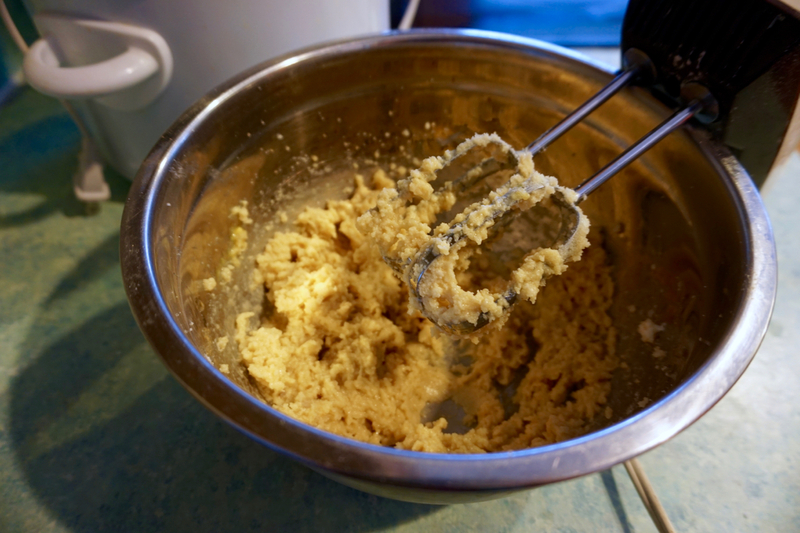 Watery dough will cause the cookies to spread a lot and be really thin. 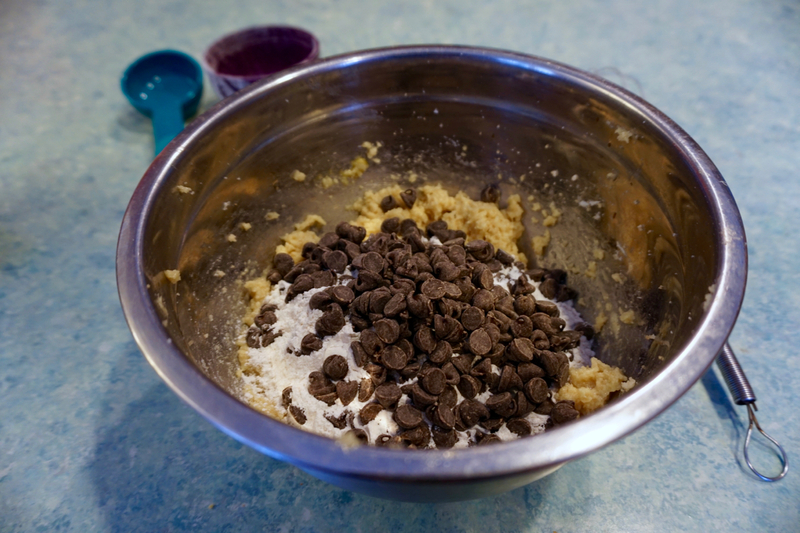 Crumbly dough will make your cookies taste like rocks. Your preference though, haha. 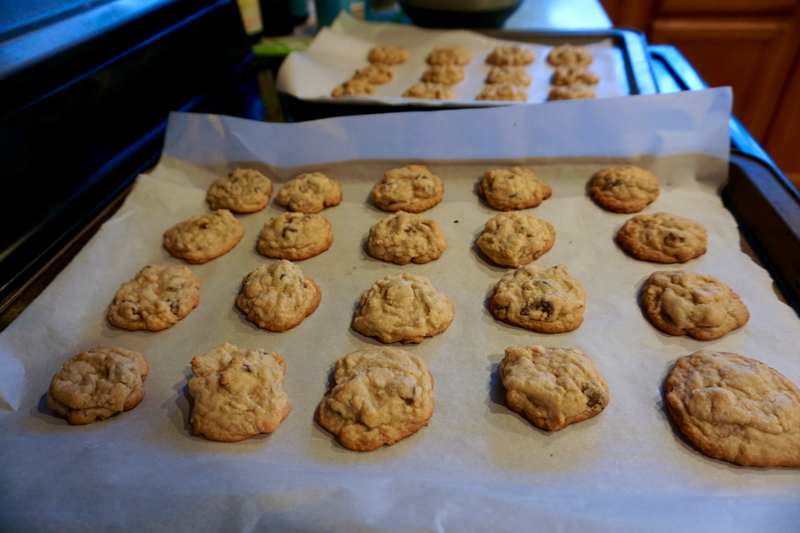 A decade later, I have refined the cookie baking process, and have come up with a recipe that seems to be received pretty well. The card is at the top of the post, but more detailed instructions and pictures will be below. 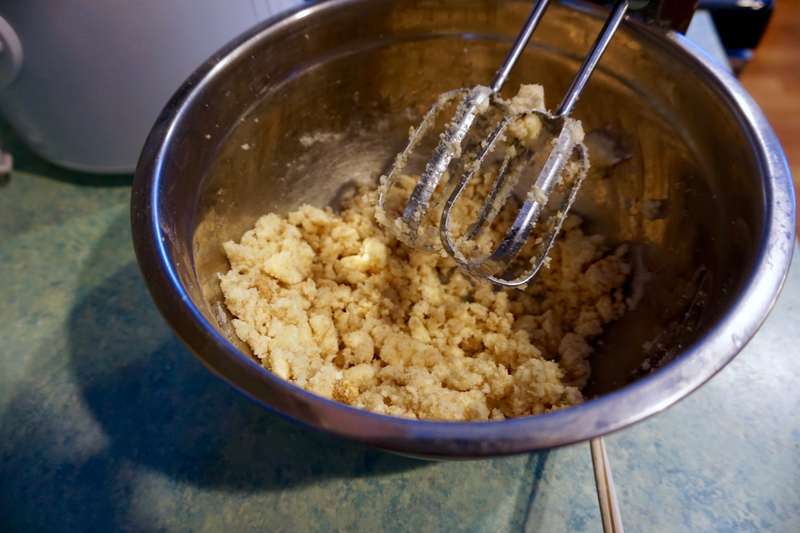 When first mixing, the butter/sugar will get clumpy. 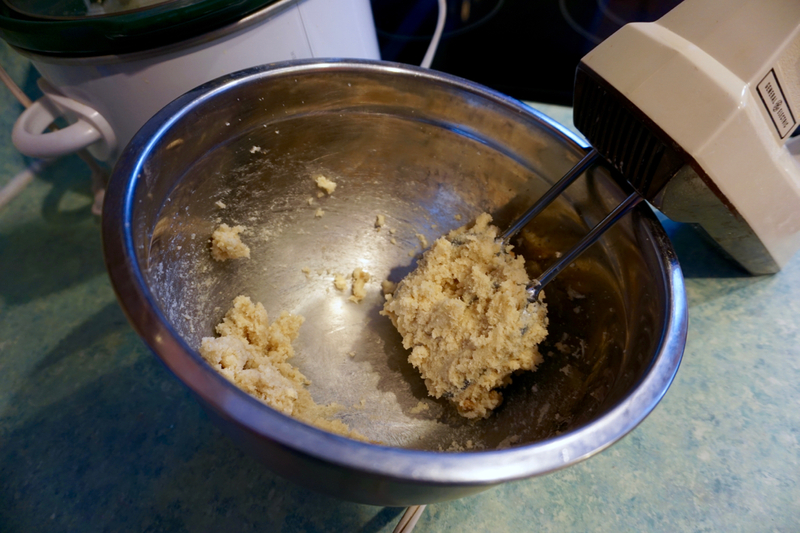 Keep going until it all clumps up and sticks to the electric mixer paddle. Get all the butter out of the paddle and mix in your egg and vanilla. 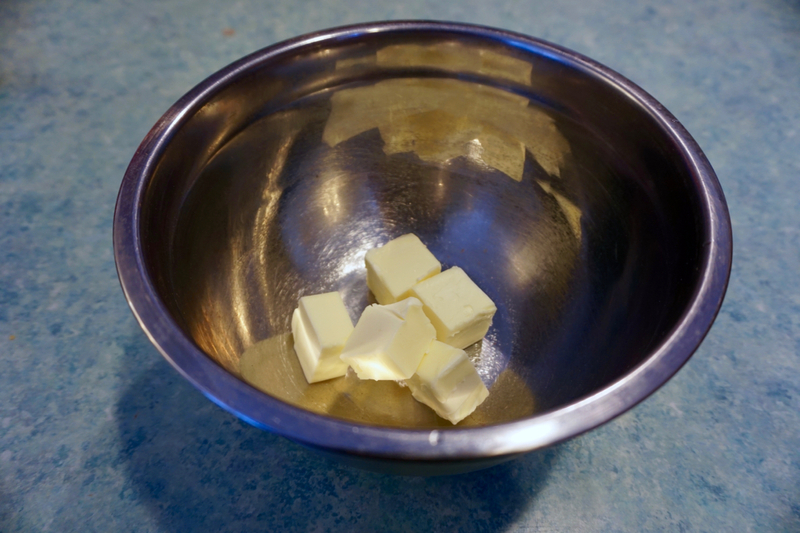 At this point, the butter/sugar mix should be pretty watery. Pour the dry ingrediants you set aside earlier into the wet. 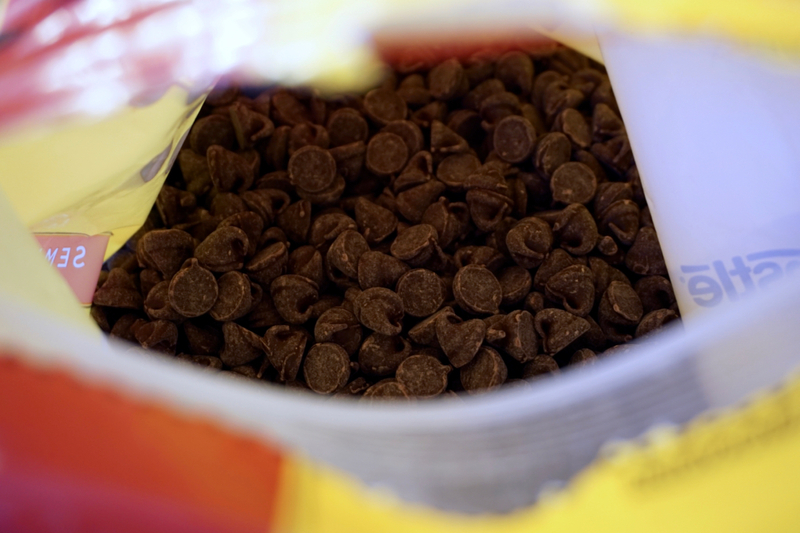 Yes, this is a 5lb bag of chocolate chips. Pour the chocolate into the bowl as well, and mix everything together. 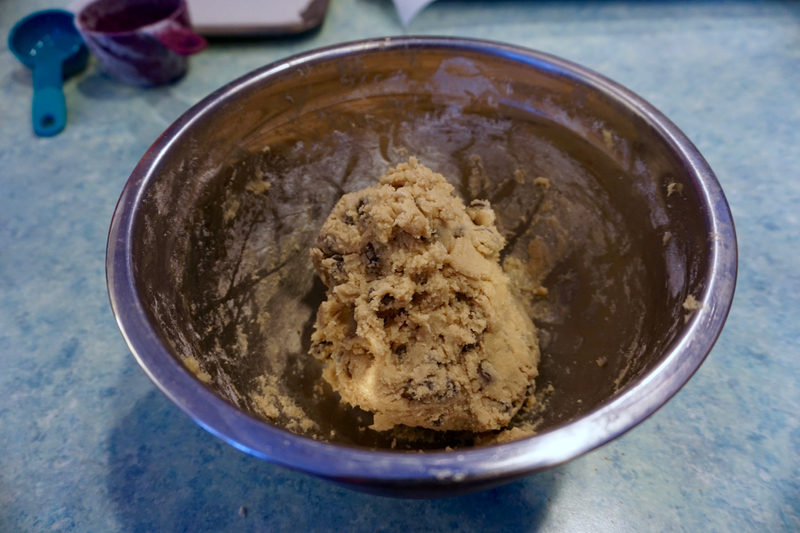 The final texture of the cookie dough should feel a bit like a slightly squishy stress ball. If you can’t easily shape the dough, you’ll need to stick it in the fridge for a bit. 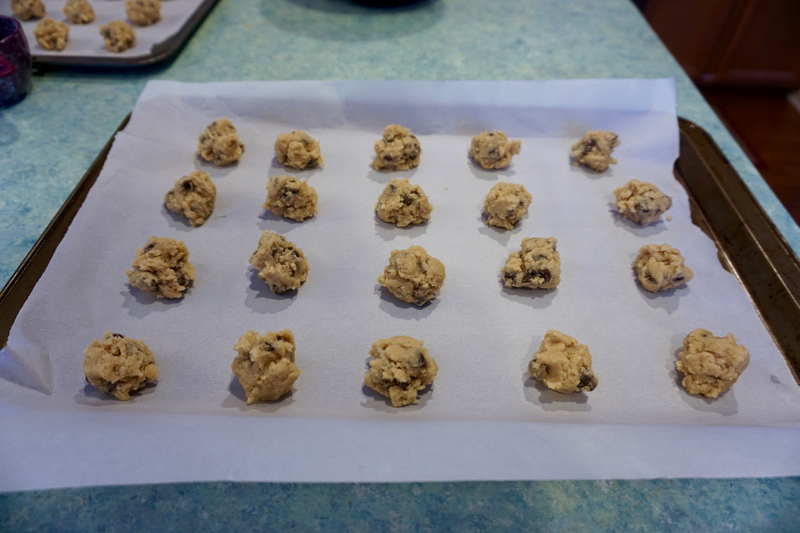 Form those tablespoon sized balls of cookie dough and put it in the oven! 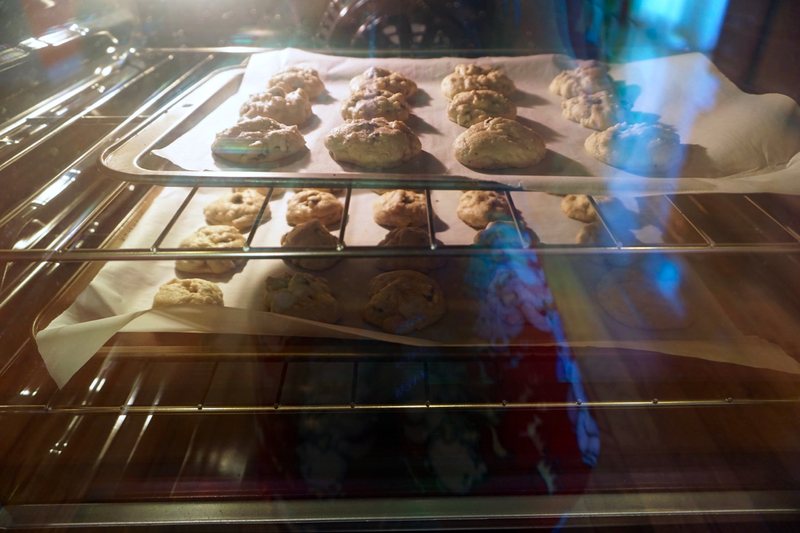 After 10-15 minutes, delicious cookies will be ready for nomming and your house will smell like chocolate and happiness. Enjoy with milk.